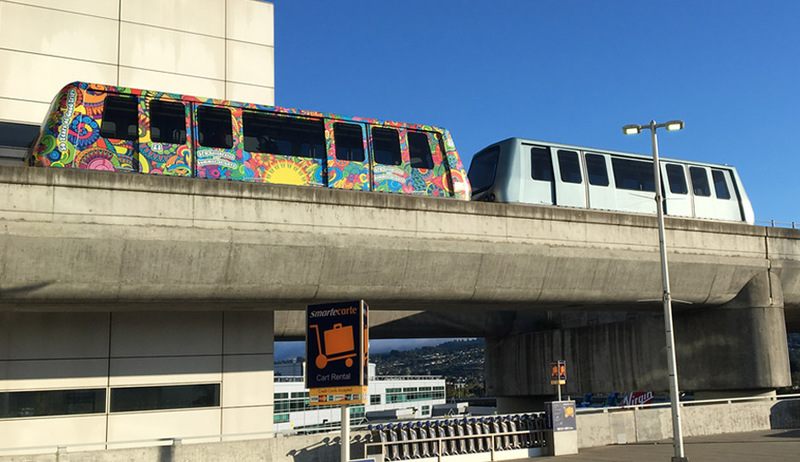 The AirTrain at San Francisco International Airport (SFO) is a fully automated people mover operating on an elevated guideway. Its two lines connect terminals, parking facilities, cargo and postal facilities, a rental car center, and the SFO Bay Area Rapid Transit station. The $207-million AirTrain Extension Design-Build Project currently under way will extend service to two new stations , one at the new Long Term Parking Garage #2 and another at a new Grand Hyatt Hotel, both also in progress. CHS Consulting Group is part of the Skanska Constructors design-build team responsible for maintenance-of-traffic plans and specifications for the construction period, and for final signing, striping, and wayfinding plans.